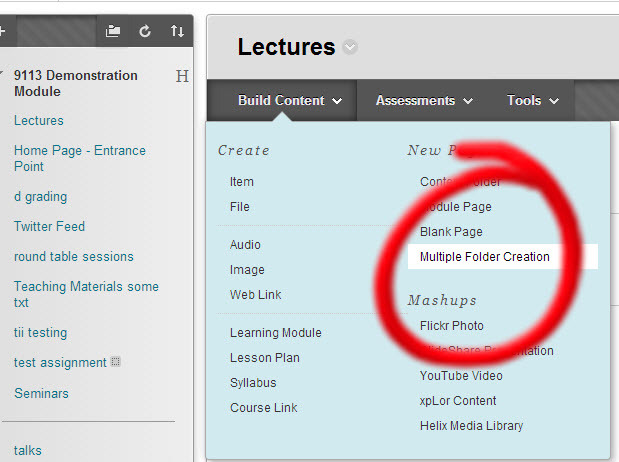 After consultations with regular users of Blackboard we have installed a building block which allows Instructors the ability to rapidly create multiple folders within a content area. 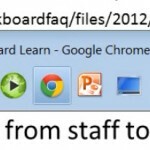 It is intuitive to use and hopefully staff will find it a time saving and useful feature when creating content and resources for their students to use. Here is a brief guide to locating and using this new feature. You can now populate your relevant folders/directories with content, resources and other links. A joint Blackboard, ReCap and EvaSys staff survey took place during the summer and we received 743 responses relating to Blackboard use. There was a range of constructive feedback received and for this we are very grateful. Among the comments posted were a range of issues/frustrations that can already be resolved, but perhaps staff are unaware of some of these features. Here is a sample of comments relating to the re-ordering of module lists. A few amendments have been made to your modules for the 2013/14 academic year. In order to explain these and the reasons for them a series of Personal Capture (PCap) recordings have been made using the ReCap software. They explain how these changes came into affect and why they have been implemented.The recordings can be paused, stopped and re-visited as often as you wish.